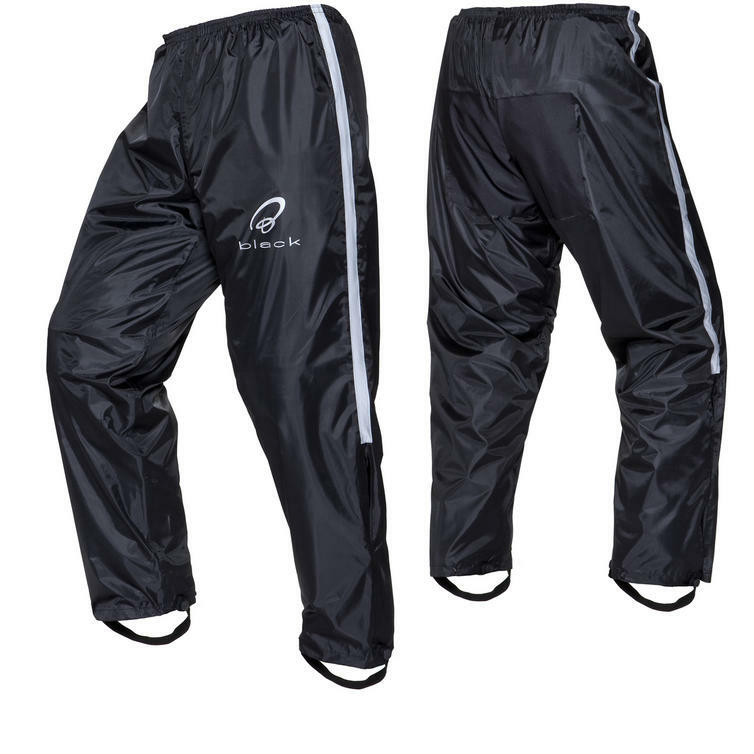 Another fantastic addition to the Black™ Rainwear range are the Black™ Spectre Waterproof Motorcycle Trousers. Designed and developed by British bikers, the Spectre trousers are in a class of their own. Fully waterproof with an elasticated waist band for ease of use, the trousers have been carefully manufactured to be both lightweight and durable. Reflective strips line the outer leg, highlighting key areas of the body for other road users to see. The seat of the trousers has been reinforced with an extra piece of textile padding; thus adding to their robust, long-lasting capabilities. The elegant Black™ logo is contemporary yet subtle, emphasising the overall classy feel of the brand. The studded leg-taper mechanism allows you to pull the legs of the trousers in slightly, ensuring you achieve the perfect fit no matter what type of rider you are. 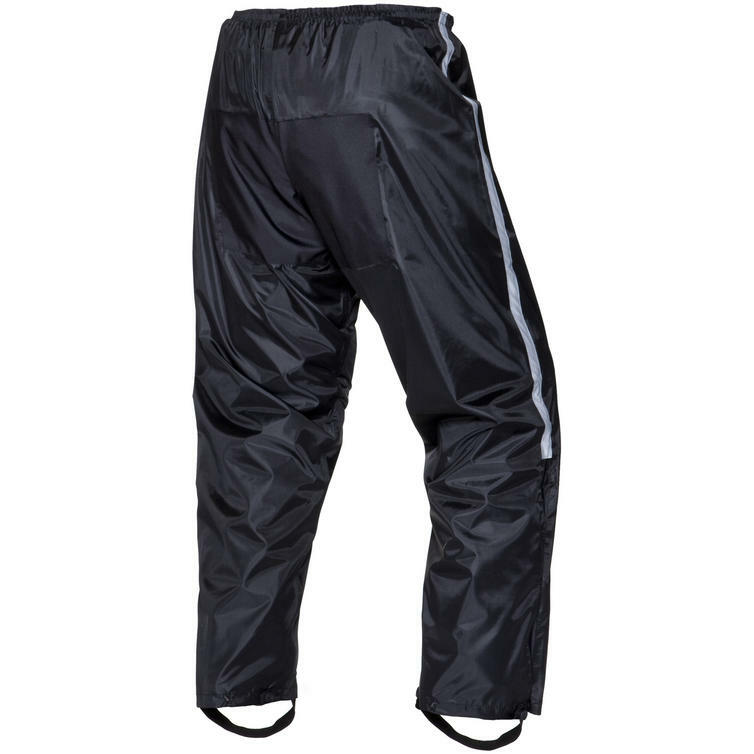 Elasticated boot straps simply pop on to the trousers with ease, and can be easily stretched over all kinds of motorcycle footwear to keep your legs dry, safe and secure. 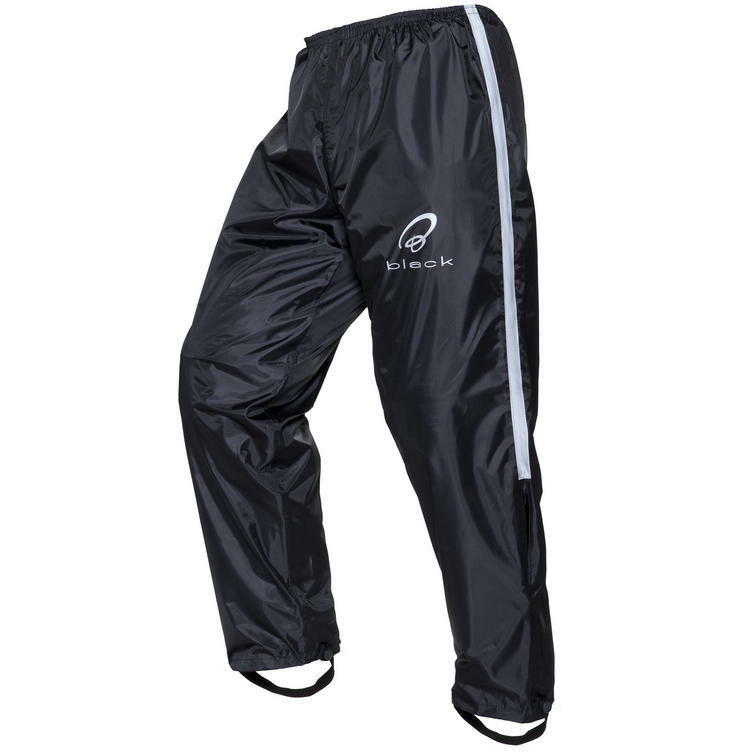 A must have item for any regular rider, get your Black™ Spectre Waterproof Motorcycle Trousers from GhostBikes.com today! View all Black™ Rainsuits. View all Motorcycle Rainsuits. 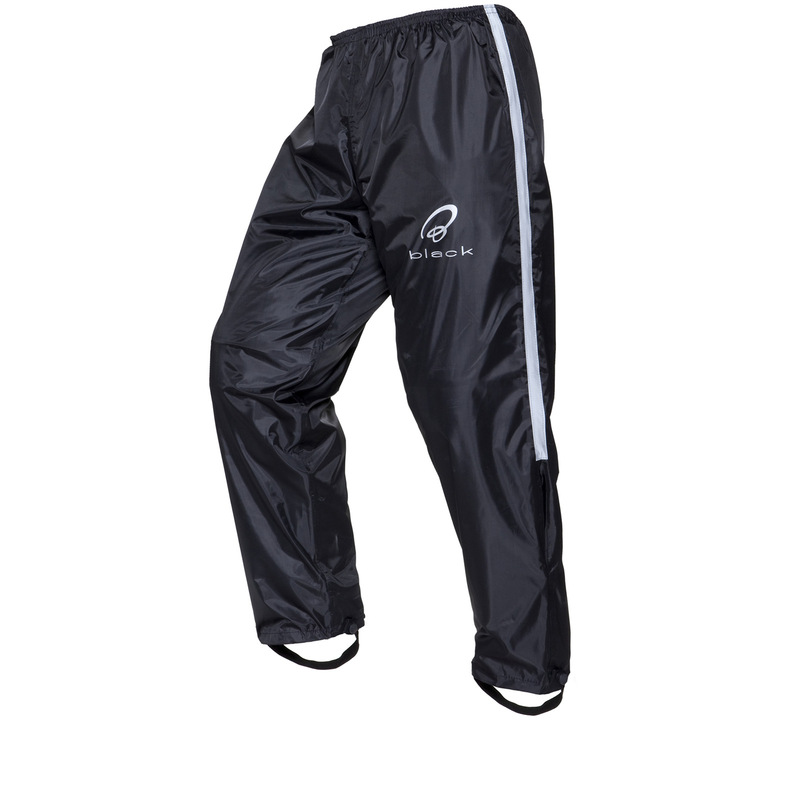 The Black™ Spectre Waterproof Trousers are packed with features! 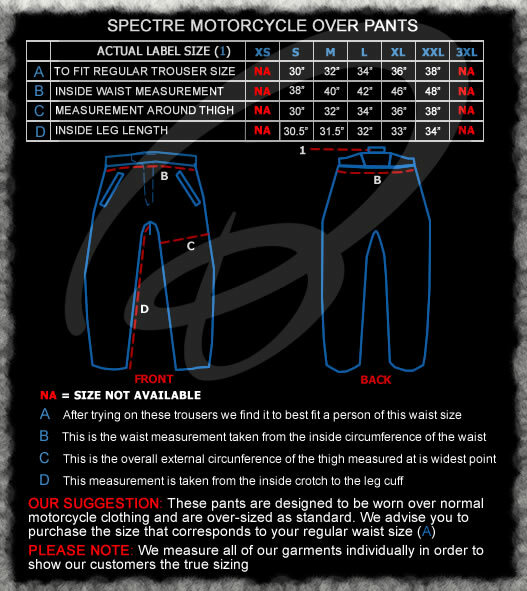 The Black™ Spectre Waterproof Motorbike Trousers are available in the colours shown in the product variations above. If there is no variation option, they will be available in the colours shown in the pictures above.